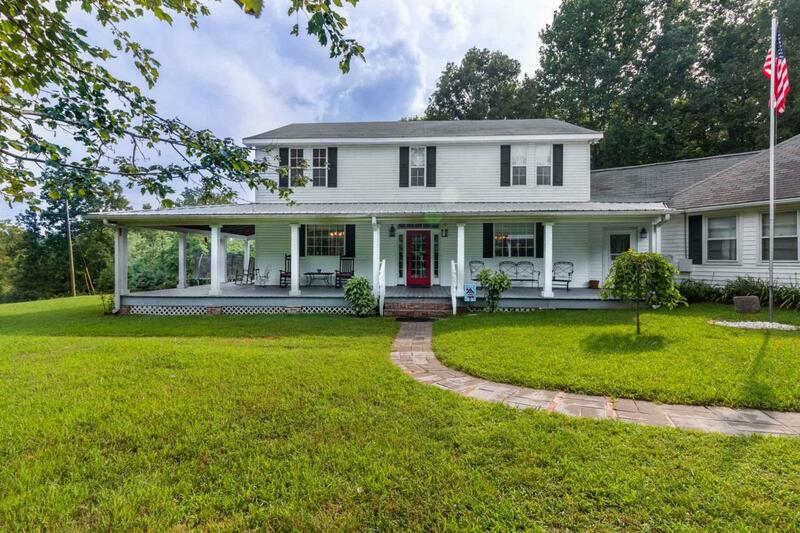 You have got to see this beautiful country home on the hill with large wrap around porch situated on 3.43 acres. Every bedroom has it's own bathroom. Large utility room has farmhouse sink, add your own stove and it's perfect for canning. As if you'd need any more room this home has a large In-Law Suite with full bath. 2 car garage & carport.